Hiring a registered dietitian or #nutritionist can be very costly, most of the time it’s worth the money. However, if you want to be your own nutritionist, here I tell you how. Do you need to lose weight? Check your Body Mass Index at http://www.nhlbi.nih.gov/guidelines/obesity/BMI/bmicalc.htm / to see if you are overweight or obese. By the way, even if you’re not overweight or obese, you may need help learning to eat more healthfully. There are six categories ­ complete them all. Write down your long-term goal and outline in detail the steps you’ll take to carry it out over time. Don’t say simply, “I’m going to lose 25 pounds.” Devise a thorough plan of attack, complete with strategies for dealing with all potential stumbling blocks, and then track your progress consistently and thoughtfully. Once you have that goal in place, you need to figure out if it is achievable. Can you really look like a swimsuit model? Possible? Then fine. Make sure your goals are “doable” within the time frame you’ve allotted. Many primary care physicians are using electronic medical records, which means that you can access them online anytime you want. Do you have high cholesterol? (240 mg/dL and above is considered high.) Are you pre-diabetic? The most common and reliable test to determine whether a person has diabetes is called a fasting plasma glucose (FPG) test, which measures your blood sugar after an overnight fast. Normal is considered 99 and below. If you are pre-diabetic, you more than likely need a diet that is low in carbohydrates and added sugars, and you need to exercise. Once you find out how many calories you need to maintain your weight, you’ll want to decrease that number by about 250 to 500 calories per day, mostly by decreasing foods that have any added sugar and increasing your intake of healthfully prepared vegetables. Keep in mind, not all calories are created equal; nutrient density also matters. Nutrient-dense foods provide a lot of #nutrition for relatively few calories. Many people who have lost and then regained weight feel disconnected from what has worked for them or failed them in the past. Take a look at what worked and what didn’t work with your past diets. If you’re not sure, ask family and friends. Alcohol packs on the pounds. Do you drink alcoholic beverages? If yes, what do you typically drink (beer, liquor, wine)? How many times per week do you drink? How much do you have? Not sure? Keep track. How many times per week do I eat out for breakfast? Lunch? Dinner? • Say no to mayo, tartar sauce, creamy dressings and extra cheese. Ask for dressings, sauces, butter or sour cream on the side. • Use mustard, ketchup, salt, pepper or vinegar as low-fat ways to season your food. • Watch nuts, croutons and other salad add-ons. • Chicken and fish are good choices only if they’re grilled or broiled, NOT breaded or deep-fried. • Instead of cheese on your burger, opt for lettuce, tomato and onion. Removing just one slice of cheese can save you about 100 calories. • Skip the fries. Instead, go for a salad or a broth-based soup before your main meal. • Avoid large portions. According to a survey done by the American Institute of Cancer Research, 69 percent of Americans say they finish their entrées all or most of the time. If the restaurant you’re going to serves huge portions, don’t assume you won’t eat everything you’re served. Before you even start eating, ask the server to wrap up half your portion to go. • Read the menu and look for any of the following cooking techniques that use less fat and are generally lower in calories: baked, grilled, broiled, poached or steamed. Avoid any of the following words: à la mode, au gratin (covered with cheese), battered, bisque, breaded, buttered, cheese sauce, creamy or rich, crispy, deep-fried, deluxe, fried, hollandaise (sauce made with butter and egg yolks), jumbo, nuts, scalloped, sautéed (unless you make a special request for it to be prepared in a small amount of oil) and tempura. • Don’t refrain from asking questions or making special requests. Make sure to ask: “How is this prepared?” even if it’s called “light” on the menu. A food diary will provide a heightened self-awareness, which is an early step toward behavior change and a really effective “self-monitoring” tool. There are now many smartphone apps and other tools to help you keep track ­ even those for taking photos of everything you eat, such as Meal Snap. Also try MyFitnessPal ­ it is well regarded. Weighing yourself once a week tells you at a glance if you’re heading in the right direction. WRITE IT DOWN or use an app to keep track. There are several scales that will also keep track of this for you. Also, measure your waist ­ around the belly button. Eating Alarm Times are the one or two hours when you consume the majority of your high-calorie and high-fat foods. (Midmorning munchies? Prime-time TV snacking? Late-night noshing?) Look for Calorie Bargains (see below) to substitute at those times when you tend to overeat. “Calorie Bargains” are low-cal foods you can eat in place of the higher-calorie snacks you’re currently eating. Each bargain must be delicious, satisfying and simple. It’s very important that you like what you’re eating ­ that’s the key to losing weight and making it last forever. The idea is to find a food you really like that’s also good for you. Make a list of some of the high-calorie foods you eat often and see if you can come up with healthy alternatives you’re willing to stick with forever. 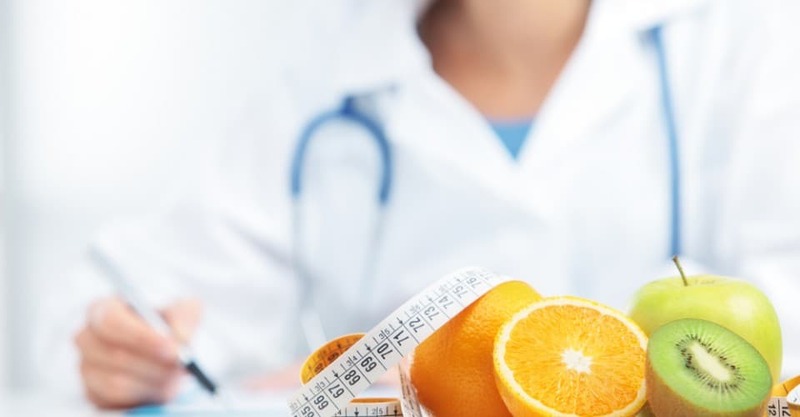 Diet Busters are foods or events that can throw a monkey wrench in your diet routine ­ those circumstances and situations that are, and probably always have been, most difficult for you. Once you know what they are, you’ll be able to figure out how to control them. Decide beforehand what you’re going to eat and how much you’re going to have ­ that way you won’t be caught off guard. One of the key functions of a nutritionist is to provide support ­ someone to talk to, help you analyze your diet and discuss pitfalls and successes. You can also do that online with social support. Myfitnesspal.com and Sparkpeople.com are good examples. Or, ask around at the office and among your friends to see if anyone wants to eat healthy with you. Examine your food diary, look at your weight and see what’s working and what’s not. Analyze monthly. There is no reason why you can’t educate yourself.